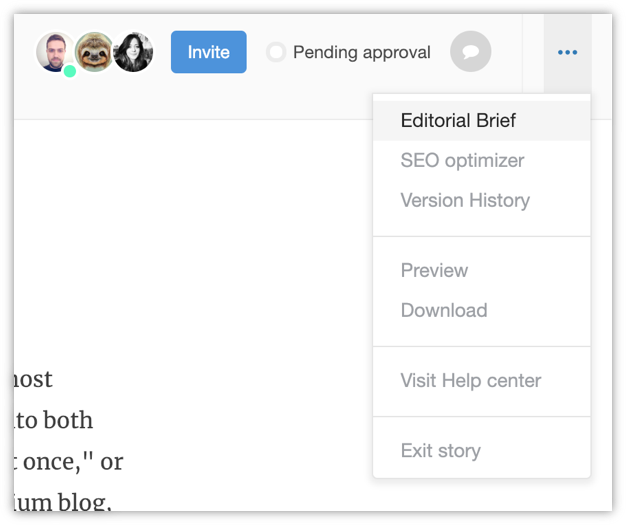 By using the editorial brief, you can inform other users on the goal of a story. Step 1. 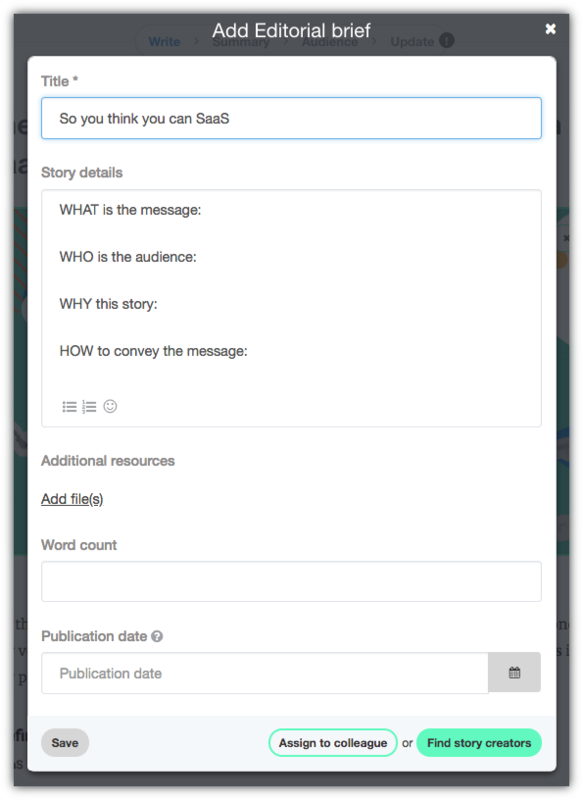 Start by crafting a new story and clicking on the 3 dot menu. Then choose Editorial Brief. Step 2. Now you can start adding information. Outline the WHAT, WHO, WHY and HOW of your story, or just remove the text and use your own structure. Add necessary files, like photos, excel documents, a PDF, etc. 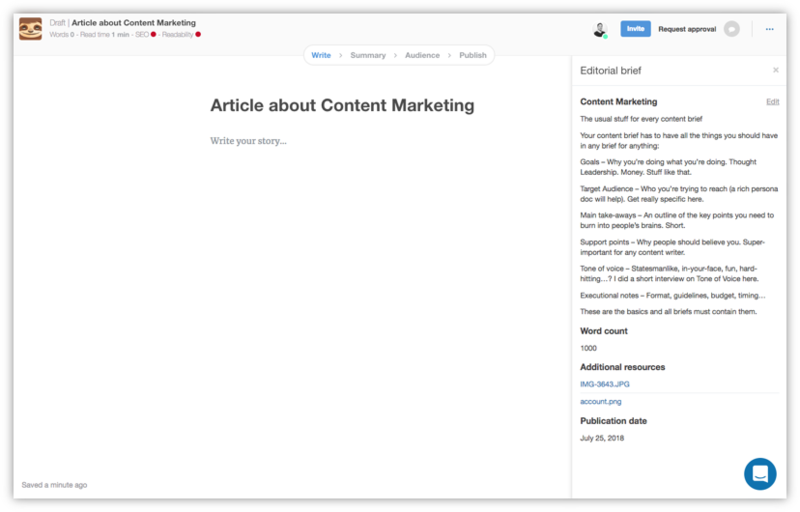 Give an estimated word count, a deadline, and then click on Assign to colleague. Step 3. Your co-worker will now receive a notification in their mailbox. The editorial brief will be displayed when the story is opened.